I started a job last week for a timber rattlesnake at a condo living under the stoop of the condo. I caught a copperhead as soon as I walked up and placed a Cahaba trap over a 4 inch entrance under the pad. So far I have caught a 3.5 foot timber and 3 2.5 foot copperhead in the same trap location. Do the Cahaba trap pre-baited glue boards draw them in or does this sound like a den? I am also looking at quoting the entire complex since there are so many snakes in the area of anyone has advice on that side. 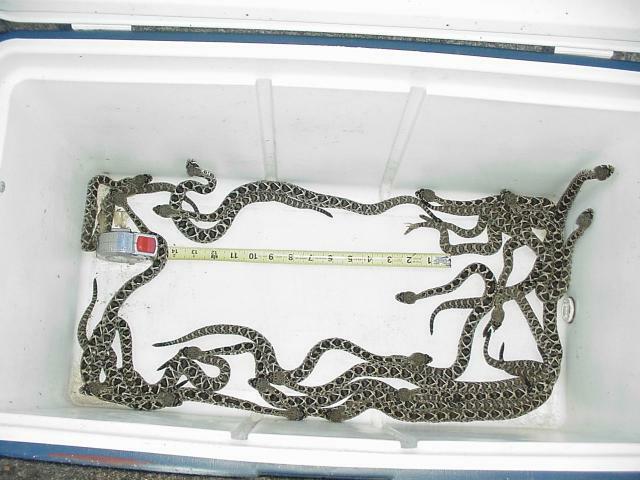 Most any harborage area will hold any number of snakes. They all know where the hide outs are if the snakes are a couple of years native to the area. Timber rattlesnakes mate during late summer and fall. From five to 20 young are born the following year from August through October. Timber rattlesnakes may migrate short distances after mating to feed during the summer. Timber rattlesnakes hibernate in a den during the winter, forming a winter colony. These dens may be in old stumps, mammal burrows, and rock crevices. Now is the birthing and breeding time for Timber Rattlesnakes and Eastern Diamondback and Copperheads in Alabama. I suspect that is similar to those in your area. In the late 1950s, I would assist a renowned herpetologist (George Toland) in conducting a denning survey at a wildlife refuge in eastern Kansas. We conducted the survey in late August and September each year. We were checking mainly for timber rattlesnakes and copperheads. 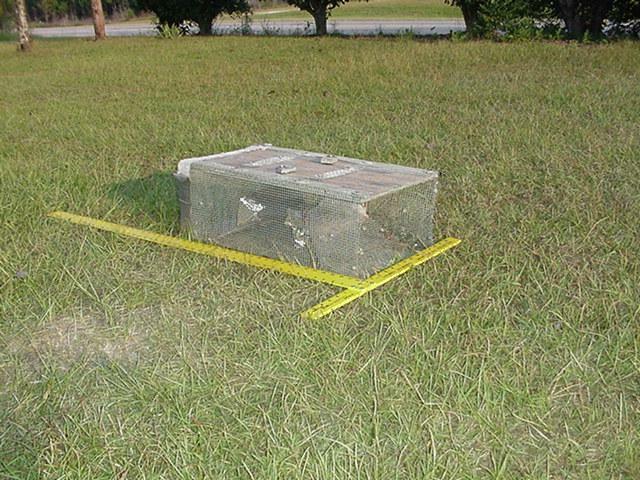 The glue snake traps sold By WCS (https://www.wildlifecontrolsupplies.com/removal/Snake_Control.html) and others can be very effective. Of course, you can make your own. I have made quite a few out of COROPLAST (corrugated plastic sign material.) It is more weather resistant than cardboard traps. It can often be purchased at local sign making shops. I usually bought it in 4’ X 8’ sheets. Sometimes old political signs are available. I also use a homemade snake trap, patterned after minnow traps. 19 newborn eastern diamondbacks taken from one gopher tortoise hole. Home made snake traps are quite easy to make as Ron has stated. We make all our own and have for many years. Plastic Downspout material from Lowes or HOme Depot is great for that...cut into 3' sections, Then cut the Lge Cahaba sticky pads lengthwise into thirds. The client accepted my proposal for the whole complex. I dont have alot of time right now due to this being side work still so I will have to buy the traps for now. WCS has the corrugated plastic traps now so at least they are cheaper. I will take a look at spouts as well since that wood seem to be faster. Last edited by ACP; 08/29/18 08:40 AM. Buy the 24 GRB large glue board mats and cut to size for the trap design to fit your needs. They are available online or at many of your local pest control store outlets. The mats can be stapled to luan, plywwod, coraplast sections, cardboard etc. Glue, Hercules putty, two sided tape can all be used to fasten the mats to your base material as needed. A little practice and you can improvise them to fit most any situation that is needed for ground to aerial placements in ceilings and overhead travel points in basements, attics etc. Do you guys fasten your glue pads down in the trap? Read my last reply better to get that answer.